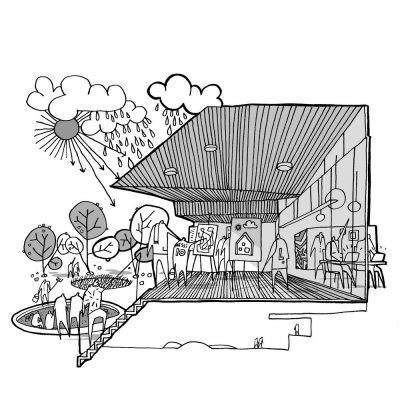 “At CEBRA architecture we rethink architecture – also when we design schools”. 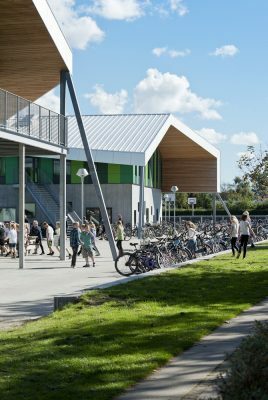 “With Aabybro School the city is getting a new school inspired by its surrounding environment and where parts of the teaching can be performed outdoor regardless of the weather”, says founding partner and architect at CEBRA, Mikkel Frost. He further explains: “The city of Aabybro is identified by its church, town hall, sport facilities and residential area which mainly are made with pitched roof. 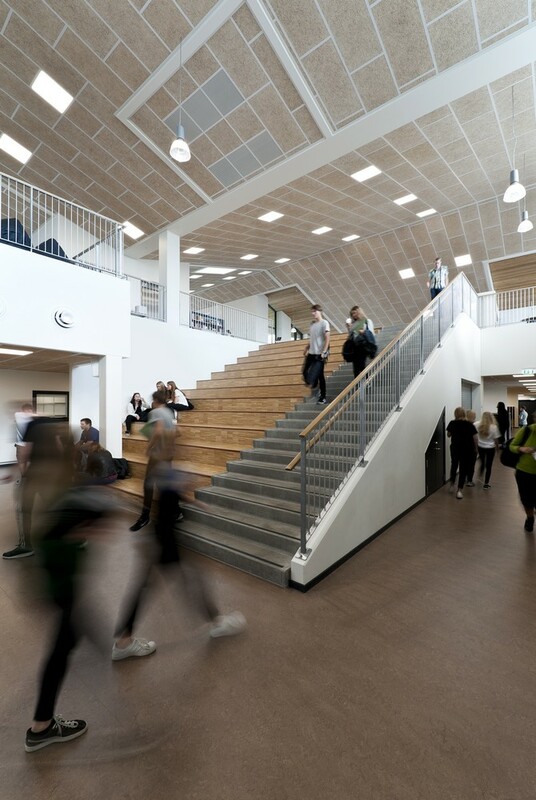 Therefore, the pitched roof is the cornerstone of the school’s architectural expression. The pitched roof is brought to focus due to its distinctive shape and slanted eaves which give a unique appearance without being intrusive or alien to the area. It is a modern version of the pitched roof where the eaves ensures attractive outdoor spaces for education and play”. 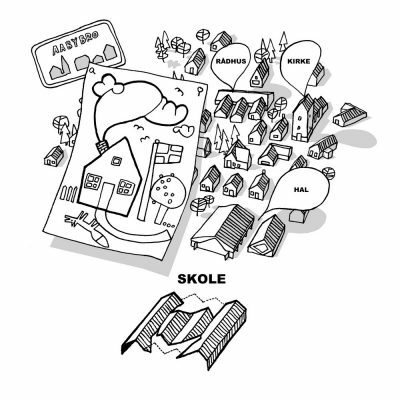 When the municipality decided to build a new school they had two separate sites at their disposal. 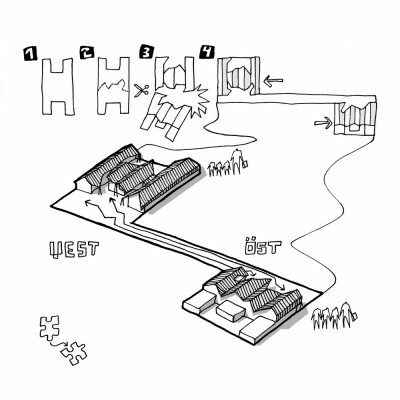 This lead to a project that had to propose a design solution with two buildings functioning independently of each other while being connected by a uniform architectural expression. The two buildings show a close affinity to each other provided by the pitched roof and by identical facades with a sturdy base and a contrasting more delicate first floor in three different shades of green. 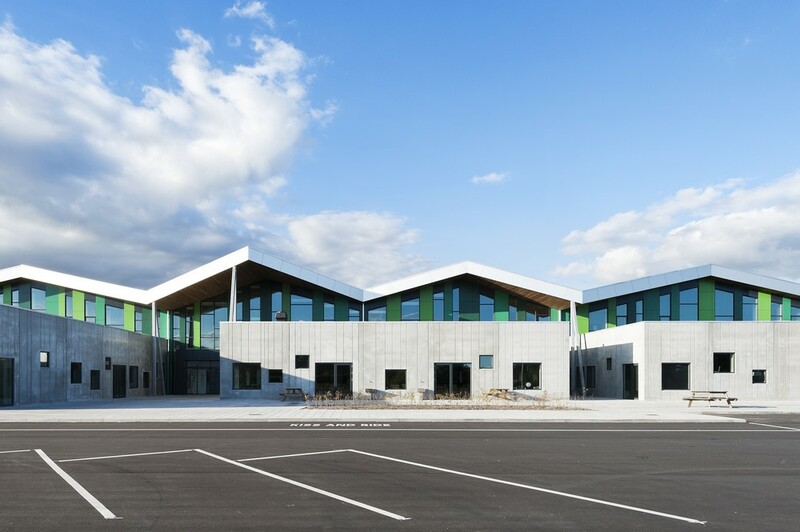 The pitched roof and visible eaves evoke familiarity along with creating a dynamic environment for learning. The facade’s asymmetric windows and distinctive green colors appear as a daring and playful architectural expression. 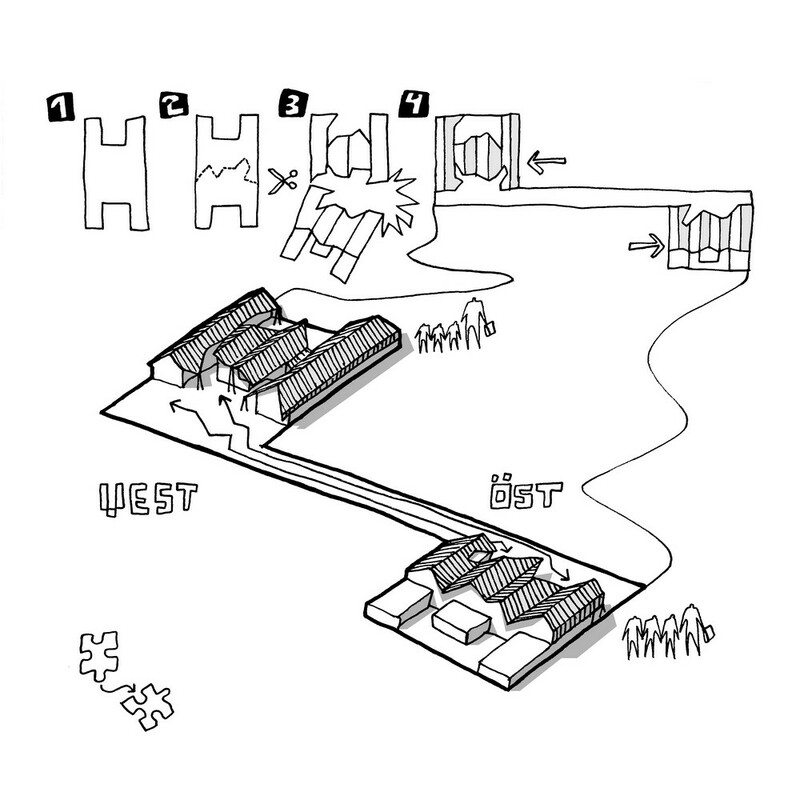 At CEBRA we have extensive experience with what we define as knowledge architecture. We have won and carried out several international and national prestigious educational projects; HF & VUC Fyn (DK) and Mesterfjellet, Larvik (NO) both built in 2014. 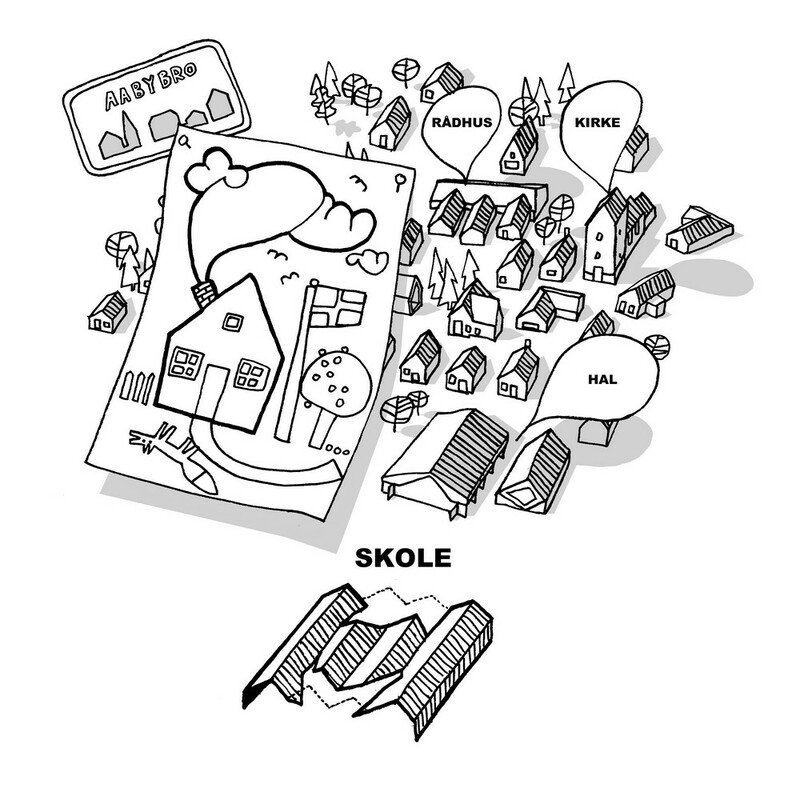 Our latest educational project under construction is the Skovbakke School in Odder (DK). 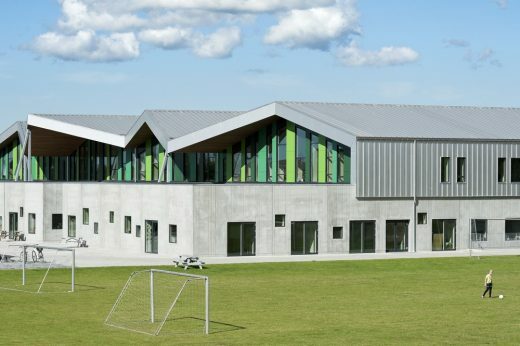 Furthermore, CEBRA has won several international architectural competitions in 2016, such as the Smart School (RUS) and the Sustainable School (UAE). CEBRA architecture is a Danish architectural office founded in 2001 by the architects Mikkel Frost, Carsten Primdahl and Kolja Nielsen. 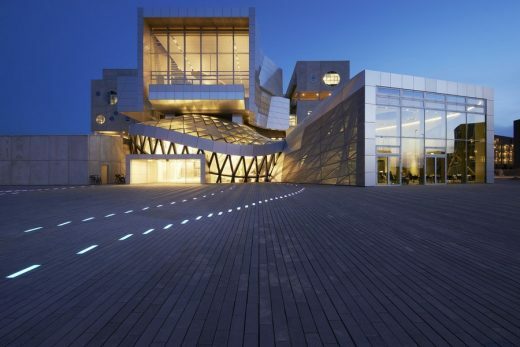 Based in Aarhus, Denmark and in Abu Dhabi, UAE CEBRA architecture employs a multidisciplinary international staff of 40 who all share a strong passion for architecture. 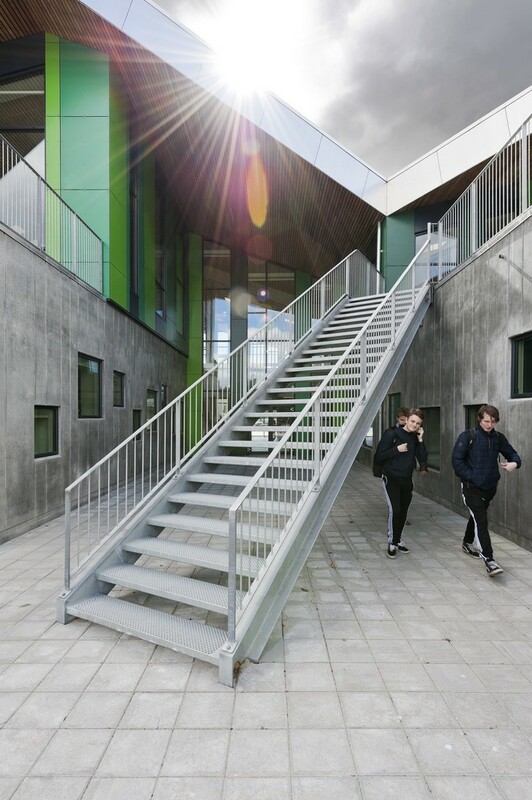 Most CEBRA projects belong within the field of education, culture, sport and housing. 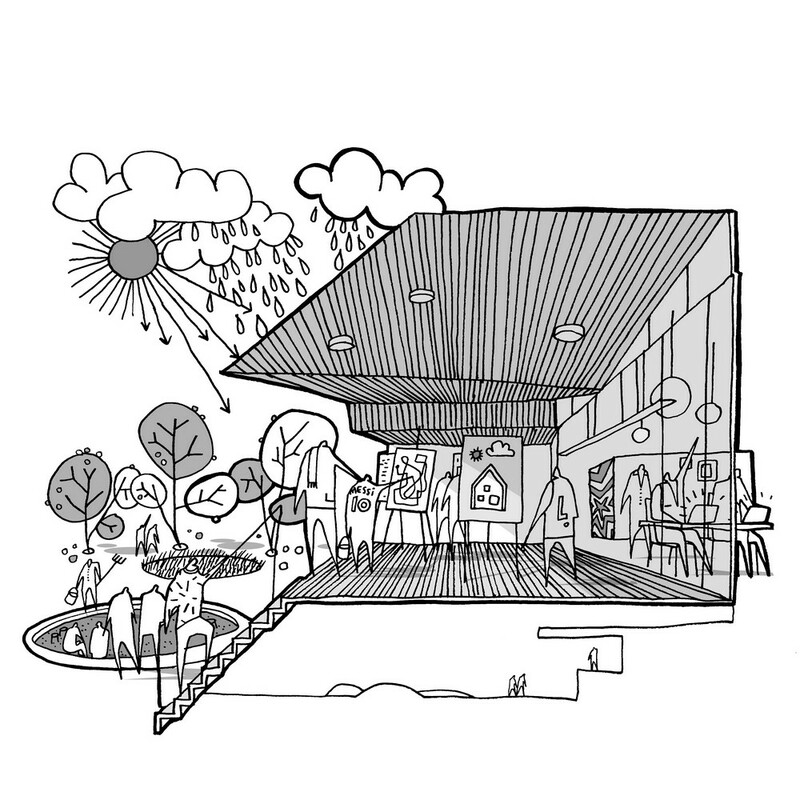 We think, design and build in line with our mantra – Architecture is serious fun.